Inuyama (犬山), literally means “dog mountain”. Its a city in Aichi Prefecture, not too far from Nagoya. It is most famous for its small but beautiful castle, which is one of Japan’s oldest wooden castles in its original state, having survived the turmoils of wars and disasters over the years. The picturesque Kiso River runs along the northern border of the city, where cormorant fishing takes place at from June through October every year. Inuyama Castle was initially constructed in 1537, and its donjon is one of Japan’s oldest. It is one of only twelve original castles left in Japan, i.e. castles that have survived intact the natural disasters and wars since the end of the feudal age in 1867. Inuyama Castle is also one of only four castles which have been designated as national treasures. 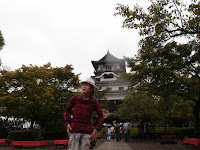 The castle stands on top of a small hill next to Kiso River. The main keep’s structure is built almost entirely with wood and rocks, and its interior is beautifully preserved and retains an authentic feel without modern additions that reconstructed castles might have, such as elevators. 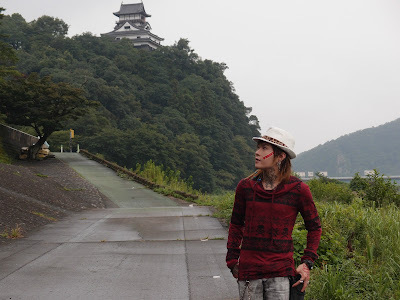 A point of interest here; The steep flight of stairs, which visitors can scale through four stories to get to the top level and be rewarded with panoramic views over the castle grounds and also, Kiso River. It is also interesting to view the various chambers at the keep, including one that allows for watching out for enemies and another in which stones can be thrown down, during times of enemy invasion. This castle was designated as a Japanese national treasure in 1935 and again in 1952. The castle in its current form, was built in 1537 by Oda Nobuyasu, grandfather of the great warlord Oda Nobunaga. The castle is the only privately-owned castle in Japan, and has remained unchanged since it was built, making it the oldest original wooden castle in Japan. This castle, built by Nobuyasu Oda in 1537, is located at the very border of Owari (present-day Aichi prefecture) and Mino (present-day Gifu) and it was a very important base in wartime, so much so that its owner was changed many times by every war. In the Komaki/Nagakute battle, Hideyoshi Toyotomi was based at this castle with 120,000 soldiers, and fought the epic battle against Ieyasu Tokugawa in his lifetime. In the Edo era (1603-1868) the chief retainer of Owari Masanari Naruse owned this castle and in the Meiji revolution in 1868, Aichi prefecture retook the castle from the Naruse family. But during the Noubi earthquake in 1891, Inuyama castle was half destroyed. The Naruse family rebuilt it with the hope of restoring the castle, and, as a result, it has been the only privately owned castle in Japan until the Nsrude transferred its property, right to a judicial foundation back in 2004. 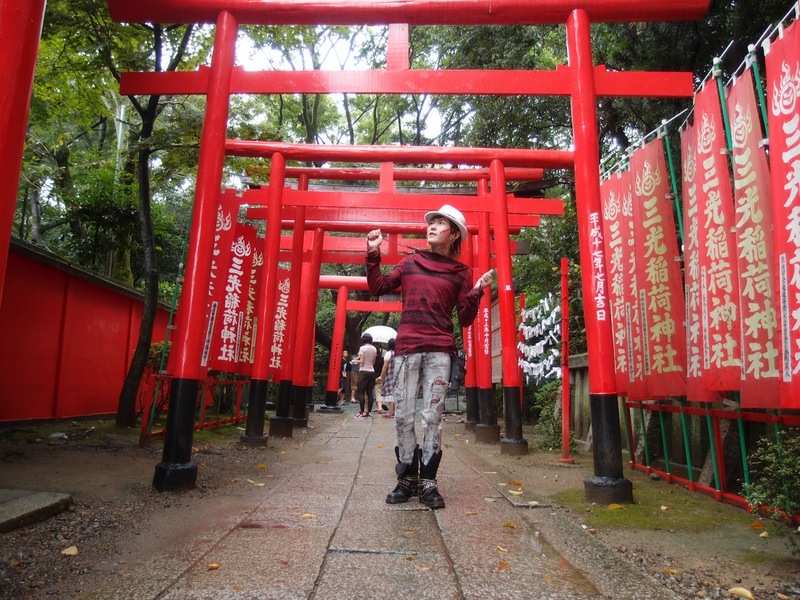 Ancient shrines and tombs in Inuyama tell you about the rich history and culture of Japan. Inuyama is blessed with the beauty of nature. You can while away time in beautiful parks and enjoy the four seasons all year round. A National Treasure teahouse was constructed by Nobunaga Oda’s younger brother. Urakuen garden is located by the east of Inuyama castle. It is a very important cultural asset in the history of Japanese tea ceremony. This teahouse was designed by a tea ceremony pioneer Urakusai Oda who was born in theOwari area. It was designated as a national treasure by 1936. This teahouse is also ranked among the top three best teahouses in Japan. Experiencing URAKUEN, a Japanese tea ceremony. Over here, you can feel the essence of the beauty of both the Japanese garden and the tea ceremony. A national significant intangible gold cultural asset, is still held every year on the first weekend of April. The highlight of this festival is the parade by 13 three-layered floats 25 feet in height, with the sound of Japanese flutes and drums. In the nighttime, every float is lit by 365 Japanese lanterns and its light and fully bloomed cherry blossoms make the scenery a truly unforgettable picture. 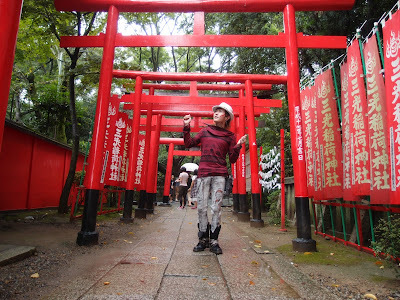 Inuyama festival was originally an event of the Haritsuna shrine, where Inuyama’s deity is enshrined. This became an annual event in 1635, by the chief retainer, Hayatonosho Masatora Naruse’s order. The highlight of INUYAMA festival is the parade with 13 floats. Every float has very gorgeous three layered construction, amazing automatons built in and these can be seen only here in Inuyama. All of these 13 floats are designated as Aichi prefectural folk assets. The parade of floats itself is common in Japan and can be seen all over the country. Floats here are carried in many different ways. Making our way now, towards Inuyama city! Smelt fishing at Iruka lake and hiking in beautiful nature, outdoor activities are just another attraction of Inuyama. And…finally, we’re back in Nagoya!